Looking For A Locksmith in West Palm Beach? Searching for locksmith West Palm Beach? Locksmiths aren’t only the ones who help you open your car from a misplaced key or locking it inside. time to time because of the many unexpected circumstances and situations that we face in our daily life. You might lose your house keys, get locked inside your room without keys, get locked out of your car, etc. Such situations make us understand the need and importance of professional locksmith services. Therefore, it pays to know the best locksmiths in your area. Ben’s 24 Hour Locksmith offers premium quality locksmith services in the West Palm Beach area. At Ben’s 24 Hour Locksmith, we offer our residential, commercial, automotive, and emergency locksmith services in the West Palm Beach area. We are open 24/7 to visitors and residents of West Palm Beach. We are a flexible team of experienced, talented, and trained locksmiths. With our high-quality products, expertise, and equipment, we can handle locksmith problems of any complexity and size. Furthermore, we customize our services according to your requirements and circumstances. At Ben’s 24 Hour Locksmith, we treat our clients with great professionalism. Our customer care team is candid and cordial. We serve all our clients with assuring smiles and our high quality, and affordable services bring back hope to those individuals who are worried about their locking and security systems. Our technicians are highly experienced and can handle all kinds of locking problems quickly and calmly. Therefore, our customers regain complete security and absolute peace of mind when we respond to their needs. 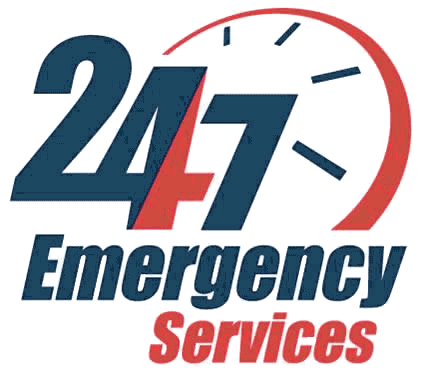 We have been offering our 24-hour emergency locksmith services in West Palm Beach for many years and continue to do so. We know the importance of your security needs, that’s why we employ specially trained and experienced locksmith technicians that can get you out of any emergency locking situation in no time. Ben’s 24 Hour Locksmith offers residential locks that are excellent in protection; we also provide you with high-quality residential locks from specialty makers. If you have been locked out of your house, lost your house keys, broken a lock of your room, or simply want to upgrade all your locks in your house, Ben’s 24 Hour Locksmith can help you. At Ben’s 24 Hour Locksmith, we specialize in automotive locksmith services. We can help you with missing, defective car keys, transponder keys, flawed locks, and much more. Our auto locksmith technicians offer a quick roadside assistance for broken and lost car keys. Call us for emergency auto locksmith assistance; we will help you get inside your car and back on the road without any delay. We are familiar with the value of a sophisticated commercial security resolution, and our skilled technicians know how to deliver it. Most of our commercial locksmith services are specially designed to satisfy all the security needs of each business notwithstanding the complexity, size, or any other element it may require. Locksmith West Palm Beach	Overall rating:	5	out of 5 based on 9	reviews.